Chief Minister Arvind Kejriwal, who is also the head of the DJB, in a tweet, said Delhi will become a city of lakes after the completion of the projects. A pilot project at Rajokri has given life to a drying lake. After years of planning and many failed starts, 159 dying and dry lakes in the city are expected to come to life again — starting with around 10 within the next four months. The Delhi Jal Board (DJB) Monday approved a budget of Rs 376 crore for the project. It also set aside Rs 77 crore for the construction of two ‘mega lake’ projects in Rohini and Nilothi. Funds for three more ‘mega lakes’ in Dwarka, Najafgarh and Timarpur will also be earmarked soon, an official said. The Flood and Irrigation Department is also working to rejuvenate 29 water bodies. 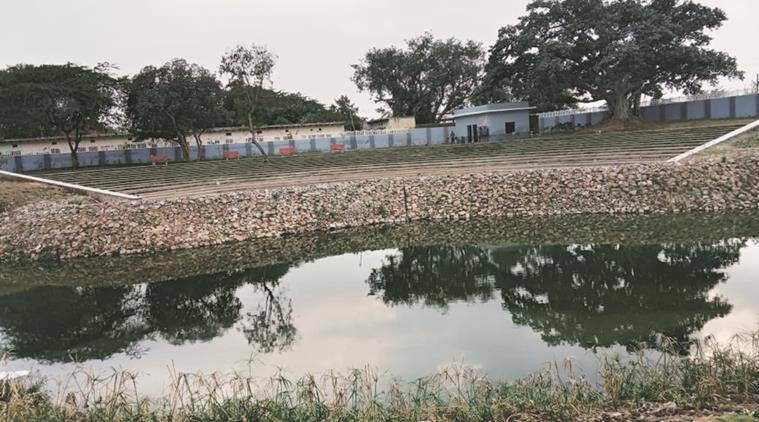 The idea, according to an expert working closely with the government on the project for the past three years, is to feed smaller lakes with water treated at small decentralised sewage treatment plants. DJB is already working on installing low-capacity decentralised STPs in smaller areas, which are less capital-intensive and more efficient. DJB’s plan to use floating wetlands, mechanised aeration systems moves away from its policy to isolate a water body by concretising the base and using chemicals to treat water. The wetland ecosystem includes plants such as typha latifolia and spider lily, a layer of gravel which filters water, and has a biofilm on it to process pollutants. The gravel system also immobilises heavy metals. “The lakes will be fed with treated water from these plants. The biochemical oxygen demand (BOD) of water released from these plants is around 10. We are also working on reducing the BOD further. Natural wetlands, which use plants, gravel and microbes to treat impurities — especially organic waste — will also improve water quality. Mechanical aeration systems will also be installed in several lakes to improve water quality. All the lakes will aid percolation of water. The aim of the project is also to up the water table. Once the water table is high enough, water can be extracted for other purposes,” the expert said. BOD is the amount of dissolved oxygen used by microorganisms to metabolise organic matter. The higher the BOD, poorer the water quality. A pilot project at Rajokri has already shown success, with the lake sustaining itself using treated water over a year. The project also involves the community to make sure the gains made are not lost to encroachment or littering. Once all the lakes have been constructed, the cumulative lake area will be over 350 acres, with a potential to hold 1,581 million litres of water, officials said. Chief Minister Arvind Kejriwal, who is also the head of the DJB, in a tweet, said Delhi will become a city of lakes after the completion of the projects. “It will reduce pollution, recharge groundwater, make our city beautiful. All these lakes will be developed into tourist places with beautiful landscapes,” he wrote.